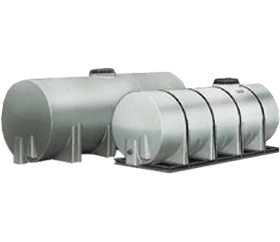 Horizontal storage tanks are most commonly used for chemical storage or water applications when height space is limited. ACO’s one-piece seamless design produces a rugged tank that is ideal for corrosive chemicals. We can install a wide range of fittings and accessories to accommodate your requirements.